Such predictions are usually wrong anyway, the real question being the degree of ‘wrong-ness’ compared to the actual data. The expected (by climate models) linear progression of global temperatures has fizzled out – inasmuch as it ever existed – since the ‘pause’, apart from a recent El Niño blip. Solar cycle activity is also declining compared to other recent cycles.. 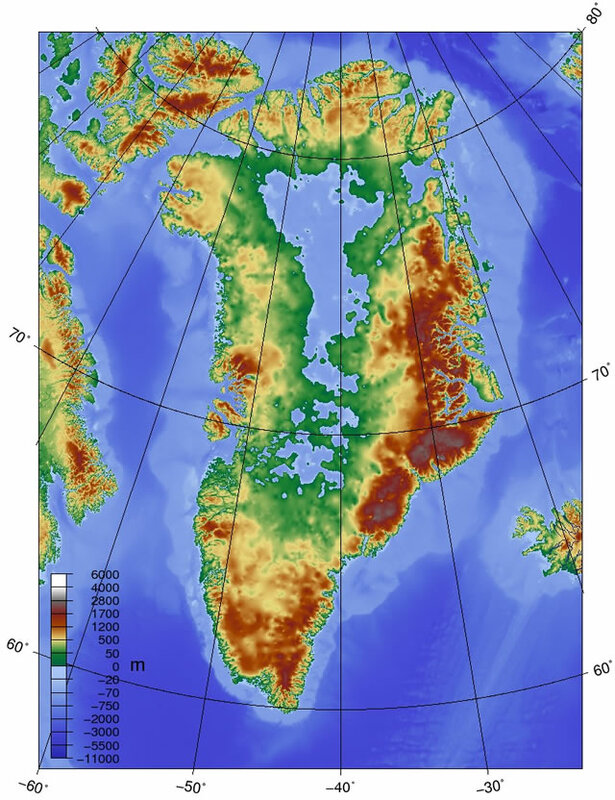 Existing computer model simulations have failed to properly include air pressure changes that have occured in the Greenland region throughout the past 30 years, says The GWPF. Higher pressure in summer will give more sunshine and therefore higher temperatures. It is not higher temperatures that are leading to higher air pressure. Not only is air pressure a problem for the models but also outside the equatorial regions, clouds, precipitation (amounts and location, especially poor with snow), and slow events like the current slowing of the NH westerlies (with its effects on the jet-stream). Basically the models are pretty poor outside the tropical areas where it is just mediocre. I continue to find it quite incredible that anybody treats the models as anything other than vague possibilities that might happen if by fluke every assumption used was pretty much accurate. Not only is climate a complex, non-linear system, we understand very little about it. How we have reached this position where we believe the impossible – that the models are remotely useful in accurately predicting the future – is absolutely a mystery to me. Phoenix – call it political pressure. The IPCC summaries for policymakers, partly drafted by ‘non-climate’ people (civil servants, ‘green’ pressure groups etc. ), exclude most of the uncertainties expressed in the main report, leaving the required false impression of a sound basis of understanding that in reality doesn’t exist. Witness the exaggerated forecasts of warming that isn’t happening at anything like the ‘projected’ rate, if at all in the last 20 years. Plus the non-vanishing Arctic sea ice that has supposedly been ‘rapidly melting’ for about the last 40 years. gives a list (with quote from many papers) of some of the latest identified shortcoming that modeling the climate struggle with. As far as global temperatures are concerned it appears to me that the sum of purported adjustments and measurement errors is greater than the resulting anomaly result. Hence we are all wasting our time arguing about these models. Chaos rules in the long term and it time the scientific community cottoned on to that and stopped making stupid predictions. Might as well stick a wet finger in the wind. As for most of those pretty graphs: As with a picture, they can speak a thousand lies, particularly to those who produce them. There could be monsters under my bed is a long way from monsters under my bed. I have the same attachment to climate models. Is it very surprising that they get predictions wrong when there isn’t one of the computer models they use that has been validated and verified? Because of that any output from those models can only be considered as garbage especially when the input is also garbage and all you get when you add two lots of garbage together is double the amount of garbage. Just why such models are accepted in academia is beyond my understanding – we don’t accept that stupidity in the real world of engineering and real science. The failure of temperatures to increase in line with the ever-increasing CO2 concentrations invalidates the models. Resources directed at pushing this scam and the wealth transfers being demanded are being wasted. 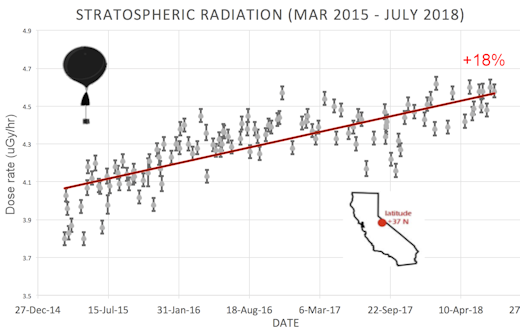 Who can research the claim that solar cycle 25 already started in April 2018? Hundreds of papers are being published that show that the “anthropogenic climate change” paradigm is incorrect, at least in its strong forms. But I think that the following paper is rather cute because it’s so careful and it discusses one of the most obvious symptoms of “global warming” – the melting glaciers. Clearly, the results indicate that the melting of the Alpine glaciers has a natural origin – something related to the end of the Little Ice Age. The authors don’t forget to add the disclaimer that this finding doesn’t exclude the possibility that the anthropogenic influence has grown prominent sometimes well after 1875 – they cannot say when and no obvious hint of a qualitative change in the recent era may be found in their graphs. London, 23 October: Met Office weather data shows that the UK’s climate is changing very little. That’s according to a new briefing paper from the Global Warming Policy Foundation.